Propane and natural gas fires produce real heat and smoke for a training experience that closely models real-life conditions – and it’s as safe as fire can be. Take your training to the next level with LION gas-based fire technology. Propane and natural gas fires produce real heat and smoke for a training experience that closely models real-life conditions – and it’s as safe as fire can be. Our training technology is different because it is powered by a pilot module. This feature allows for the instructor to stop the flames at any moment; it also means that starting a new evolution is as easy as pushing a button. Because this technology is so easy to start and stop, countless evolutions can take place in a single day. Plus, you can configure our gas-based fires to simulate almost any fire behavior. Challenge your crew and help them prepare for the worst in a safe environment. Propane and natural gas are ideal when using Fire Training Props such as kitchen appliances, and larger props like hazmat tankers and pressure vessels. Instructors can safely stop and start evolutions. The Pilot Module also houses the forced air pilot system, which guarantees reliable ignition even under the most demanding circumstances. Gas detection systems monitor the entire training environment to see when an explosive mix has formed. Ventilation systems, lighting and intercom systems are also present. 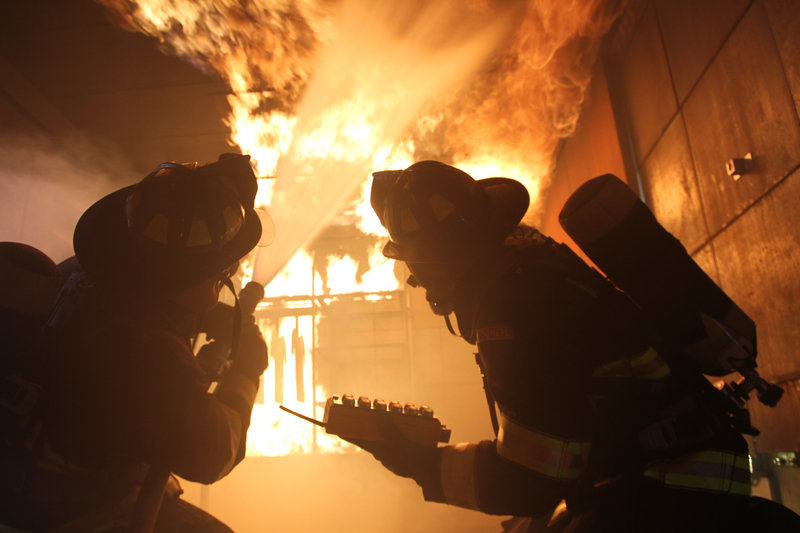 We serve a wide range of industries requiring fire and safety training, including airline, military, fire departments, oil and gas organizations, petrochemical companies and training academies. Design complexes to simulate neighborhoods, communities, cities, airports, industrial complexes or any other multi-building center. Design mobile or roll-off structures that can be deployed to remote training areas or shared between fire departments. Adopt the fire training trailer solution to bring training to remote areas, or as part of a rotation system between other fire departments and yours. Our Modular Fire Training Props are available in a range of formats – from structures to props and everything in between.